Date Night Event was a Roaring Success! 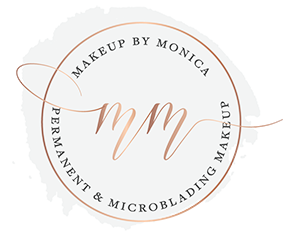 Last month, Makeup by Monica was named the Best Permanent Makeup Artist in Clark County by The Columbian. It was an honor and a privilege to be recognized from among my loyal clients for my professionalism, expertise, and care. I get so much joy out of providing superior customer service and am constantly on the lookout for fun new ways to get involved in the community. I started this blog, hoping to share my knowledge of permanent makeup as well as provide helpful beauty tips. But I wanted to do more than just write about these topics. I wanted to give my clients the opportunity to come in and ask questions, all while having fun in a relaxed, comfortable atmosphere. This is why, aside from my blog, I also love hosting special community events. In the past few months alone, I’ve hosted Botox events, special anniversary promotions, and just recently a Date Night Party. This glamorous event took place Friday, May 27th at Estilo Salon, and was filled with makeup, champagne, and prizes. Makeup artists Kasey Morrill and myself were at the event representing Jane Iredale makeup, a multi-purpose line that not only looks good, it’s good for the skin. Clients received free date night makeovers along with free products and special one-day only discounts on other fantastic salon items. What’s not to love? The event was a roaring success, and so much fun for all those who attended. Whether they were planning a romantic dinner with their beau or a night out on the town with their squad, each and every woman left the salon looking absolutely flawless. Events such as this Date Night Party are a great time to pop in and ask questions about makeup colors, application techniques, or even semi-permanent makeup. As a professional who’s been in the bizz for over 6 years now, I love the opportunity to talk to women and share what I know, so feel free to stop in to our next event and ask me! Our next event will be a Summer Botox Night, and it is right around the corner! Be on the lookout for our next blog, which will include more details about the event as well as how to RSVP. Follow me on Facebook for more great blogs and beauty tips posted every week, and for the heads up on future events. I’m looking forward to hosting many more in 2016. Do you have an idea for an event? Let us know on my Facebook or by contacting Makeup by Monica here. The Jane Iredale line is available for purchase at Estilo Salon. Check out Makeup by Monica’s services page here.